The intention of the Federal Government to shut the Nnamdi Azikiwe International Airport (NNIA) in Abuja for repair of its 34-year-old runway has sparked a row. The Minister of State for Aviation, Senator Hadi Sirika said that the airport will be shut for six weeks, from March 8 to April 19, this year. He explained that the runway, which was designed in 1982, was expected to last for 20 years. But it has overshot its lifespan by 14 years, a development Sirika described as risky. Experts have warned that the “continuous” use of the runway may lead to catastrophe, hence the need for urgent repair. Briefing stakeholders in Abuja on government’s plan, Sirika said that he was aware that it would be unimaginable to close Abuja airport to traffic for such a long time. He, however, said it has become necessary to do so because the situation has reduced the quality and safety in operation. “The continued deterioration of the facility will eventually make operation unsafe. This action will affect travellers, airport users, airline operators, travel agents, hoteliers, car hire services and others. Unfortunately for us, it is the entire structure of the runway that has failed. The structures of the runway through the bottom–all the four levels–are gone; completely dilapidated. They open up without giving notice. If we fail to close the runway now, it will eventually shut down itself. We want to take advantage of the dry season to fix it,” Sirika said. He added that government decided to use Kaduna airport as an alternative after considering operational and safety parameters as well as input from stakeholders. The minister allayed fears being nursed by travellers that the Abuja-Kaduna expressway is unsafe. He stated that the ministry in conjunction with key stakeholders like security personnel have put in place measures to ensure hitch-free trip for those who will use the Kaduna alternate airport. “There will be air patrol and other means of ensuring the safety of passengers and goods as they travel,” Sirika said. He added that arrangements have been concluded to provide bus shuttle services between Kaduna and Abuja. But opinions are divided over the choice of Kaduna Airport. Some experts canvassed Minna Airport which, they argue, is closer to Abuja. Group Capt. John Ojikutu (rtd), Managing Director, Centurion Securities said it was wrong to divert Abuja traffic to Kaduna. “Why can’t the Minna Airport serve the purpose for the local flights? After all, it is closer to Abuja than Kaduna. The runway in Minna will still accommodate aircraft whose takeoff and landing runs are within 1000 to 2000 metres. Ojikutu said the choice of Kaduna for air traffic diversion would scare most foreign airlines away. “My only worry is that they want to use Kaduna for traffic and I ask the question: “why can’t they use Minna? Minna may not be as good as Kaduna, but a 737 can land in Minna,” he said. Capt. Dung Pam, Chairman, Governing Board, Nigerian Aviation Safety Initiative (NASI) said though temporary closure of the runway was for safety concerns, the effects would be too huge on the already troubled sector. According to him, Kaduna Airport does not have the capacity to cope with the anticipated traffic. “It is going to be a serious dislocation of the nexus of our air travel system. Every major airport in the country connects to Abuja and Lagos. So, to have that place completely shut for six weeks will be a huge blow to the travelling public,” he said. 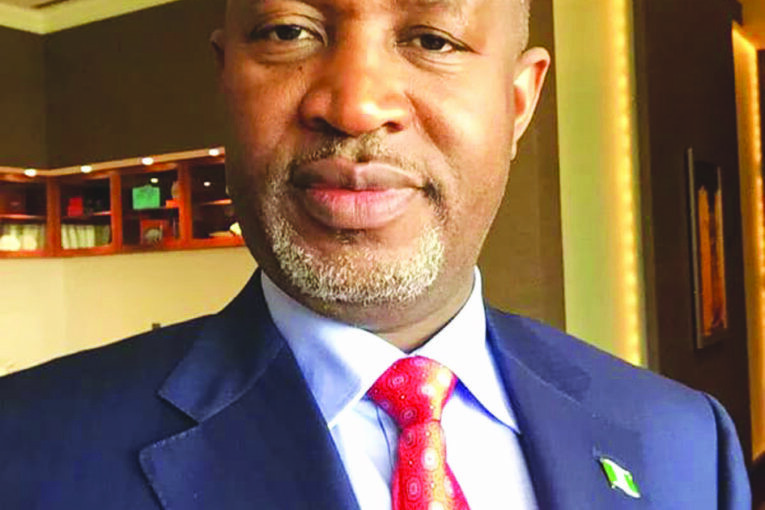 The National Association of Nigerian Travel Agencies (NANTA) President, Bankole Bernard, cautioned that many international airlines might withdraw their services to Kaduna airport. “International airlines will never joke with the safety of their passengers. They may want to leave or withdraw their services for six weeks. They have expressed fears that they don’t want to go to Kaduna,’’ he said. 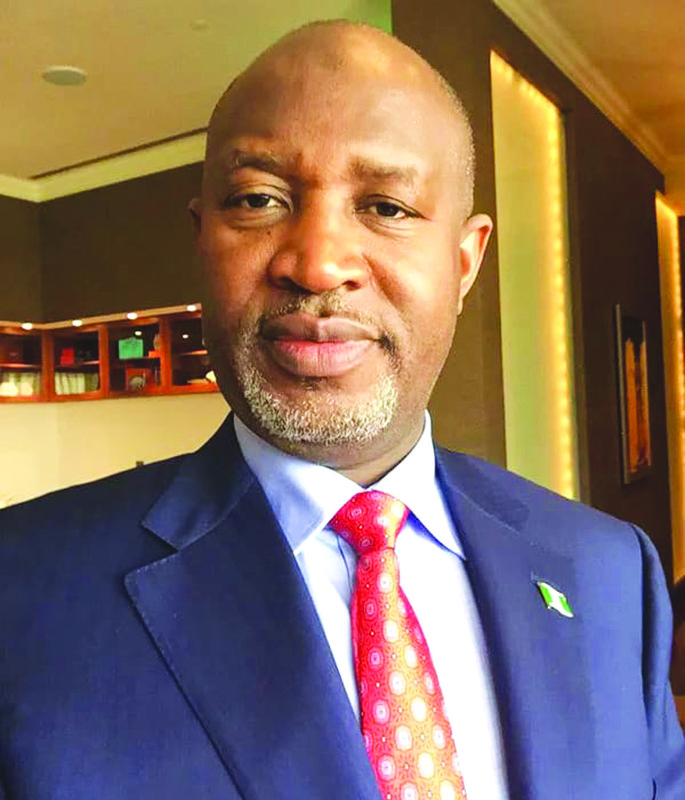 But the Secretary General of Association of Nigerian Aviation Professionals (ANAP), Adulrazak Saidu said his group supports the closure of the airport and the use of Kaduna Airport as alternative in the interest of safety of the air travellers. According to him, Kaduna is the best alternative to Abuja airport as it has a longer runway than Minna Airport. With a longer runway and better access road to Abuja, Saidu noted, Kaduna airport is far better than the Minna Airport. The Chairman, Airline Operators of Nigeria (AON) Captain Nogie Meggison canvassed partial closure of the runway to allow for some flights. He suggested that Nigeria could adopt Britain’s model in which repairs on the runway at London Heathrow Airport were done at night. “AON is of the view that the runway should be repaired at night from 6pm to 6am as it was done in other airports, such as Gatwick,” Meggison said. He noted that since the runway is about 3900 metres, it should be divided into two instead of the proposed total closure. Otis Anyaeji, President, Nigeria Society of Engineers (NSE) also faulted the six-week duration for the repair of the airport, describing it as unrealistic. He said considering the economic and social implications of the airport shut down, the Federal Government should embrace modern engineering model adopted during runway repair of the Frankfurt Airport, Germany. He said the government could adopt other options, such as repairing the runway in batches or doing the work from 6pm to 6am. “Six weeks for the airport runway repair is impossible. The NSE will send a petition to the President that the government should conduct itself in the right order and do things as practised in developed societies,” he said. As controversy continues to trail the planned closure of the Abuja Airport, the Senate had recently invited Sirika, Ministers of Transportation, Chibuike Amaechi, Power, Works and Housing, Babatunde Fashola, and the Managing Director of Julius Berger, Wolfgang Goetsch to explain why the airport would be closed for six weeks. The Managing Director of Julius Berger, Wolfgang Goetsch, told the Senate at plenary that the airport runway is so damaged that it needs comprehensive repairs that necessitates it be shut down for six weeks. “There is absolutely no option than to close the runway for these six weeks because it is not a repair work. It is a new construction of the whole surface of the building,” he said. Goetsch said based on the extent of damage, the runway could be fixed without closing down the airport, but would take more than two years. He said that if there were only spot damage, then it could be repaired in a localised way. Julius Berger has been awarded the contract for the repair of the runway. The rehabilitation project of the Nnamdi Azikiwe International Airport Abuja is to cost the nation N6.9 billion. However, at plenary presided over by Deputy Senate President Ike Ekweremadu, the senators had a tough time convincing the representatives of the executive arm of government in having a rethink on the project. Much as the senators tried to convince the invited stakeholders to look for an alternative rather than total closure, they all insisted that the best option was to close down the airport for the runway rehabilitation. Having failed to convince the executive on the planned action, the Senate in its resolution read by Ekweremadu declared that it preferred segmented approach on the repair work to avoid total closure but said the aviation minister and his team should take whatever final decision they are comfortable with based on technical advice available to them. But aviation sector unions, namely National Union of Air Transport Employees (NUATE), Air Transport Services Senior Staff Association of Nigeria (ATSSSAN) and the National Association of Aircraft Pilots and Engineers (NAAPE) have petitioned President Muhammadu Buhari over what they described as the “misadventure” of planned six weeks’ closure of Nnamdi Azikiwe International Airport (NNIA), Abuja. They faulted the choice of Kaduna Airport as an alternate aerodrome, saying facilities at the airport could not accommodate domestic and international traffic. However, by press time, it was clear that the Federal Government had foreclosed the possibility of yielding to pressure not to temporarily shut down the Abuja Airport to pave way for rehabilitation work on its runway.